Are Virtual Worlds part of your Steampunk experience? "The source of knowledge regarding New Babbage..."
Steampunk's most active discussions take place here! Get your daily Steampunk background! Happy Late 111th Submarine Birthday! 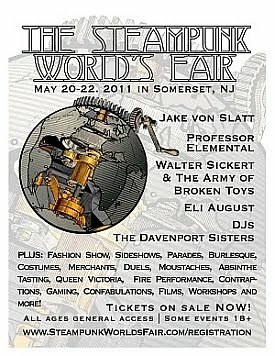 Nova Albion Steampunk Exhibition 2011 Review! 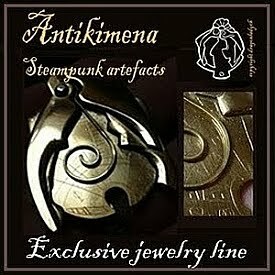 Steampunk Mouse - an amazing design to behold! Dr. Grymm to be on BBC America tonight, at 7pm! Dr. Grordbort: Onwards to Victory! Steampunk Trailer - the Della Morte Sisters! Oddities, an outstanding television program! CG Society Steampunk Animation Winner: "EMET"
Steampunk CGI Winner: "Old Man and the Sea"
The Economist's "Intelligent Life" - What's With Steampunk? Finally, though I do attempt to stay "on topic" (specifically Steampunk, as you might have guessed), I stumbled across this video at "Blue Tea", a video art website. The item has no Steampunk connection, but to anyone who has built anything in SL, I would say you will be amazed at about the one minute mark into the video (I practically fell off my seat)! Perhaps the next generation of Second Life? Be the first on your block to own an authentic, limited edition gear mug! The Virtual World's Center for Classic Designs and Fashionistas! 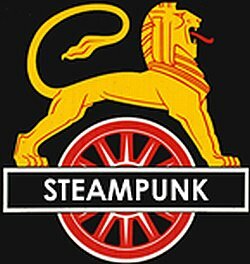 Read the formost online Steampunk and Dieselpunk magazine here! Download your Steampunk fiction to go! Boilerplate - the Steampunk mechanical marvel! Learn more about the legend at his website! How much "Steampunk" do you think should visible on a Steampunks cityscape? Is Seattle the "unofficial" capital of Steampunk? Which Southeastern city best represents Steampunk?